Hello, everyone. 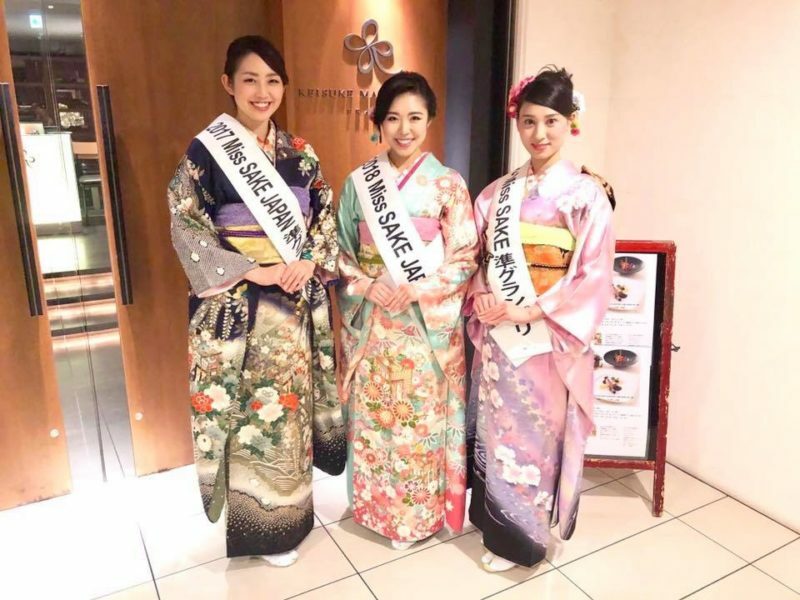 This is Asami Sudo, 2018 Miss SAKE.On November 28th, the evening party to enjoy SAKE with Miss SAKEs vol.2 was held at “KEISUKE MATSUSHIMA” in Tokyo. 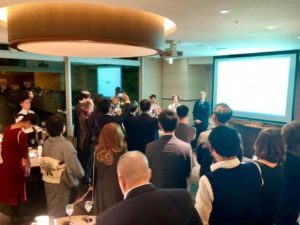 “The evening party to enjoy SAKE with Miss SAKEs” is held to have more people know our mission and activities while sharing a great time with delicious SAKE. 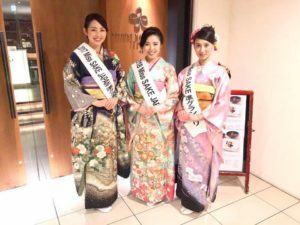 This time, 3 of Miss SAKEs welcomed guests to the party; besides me, Asami Sudo, 2018 Miss SAKE, Miss Masayo Horii, 2018 Miss SAKE runner-up, and Miss Kaori Kato, 2017 Miss SAKE runner-up, joined the party. 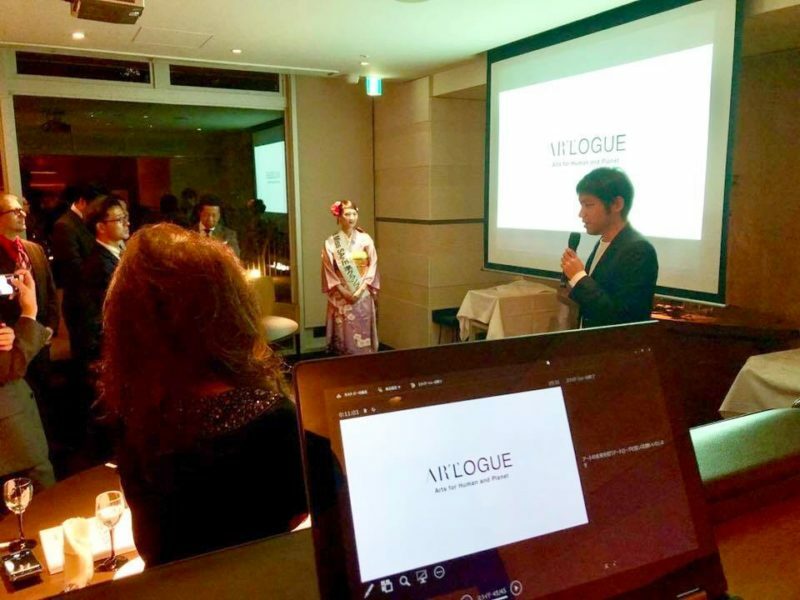 The venue was “KEISUKE MATSUSHIMA.” Mr. Keisuke Matsushima went to France at the age of 20, and he received a Michelin star to be the youngest star winner as foreign chef. “KEISUKE MATSUSHIMA Tokyo” is a French restaurant providing a relaxing and elegant atmosphere of Côte d’Azur through the sophisticated dishes. On the day, Mr.Matsushima joined the party, too, and served special dishes. 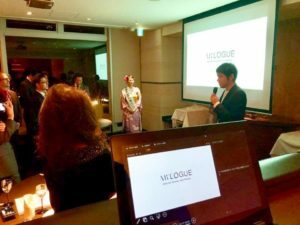 The theme of the evening party vol.2 was “SAKE and ART,” and we had a special guest, Mr. Daisuke Suzuki, the CEO of ARTROGUE Co., Ltd., who gave us a speech on Art in Japan so far and in the future. 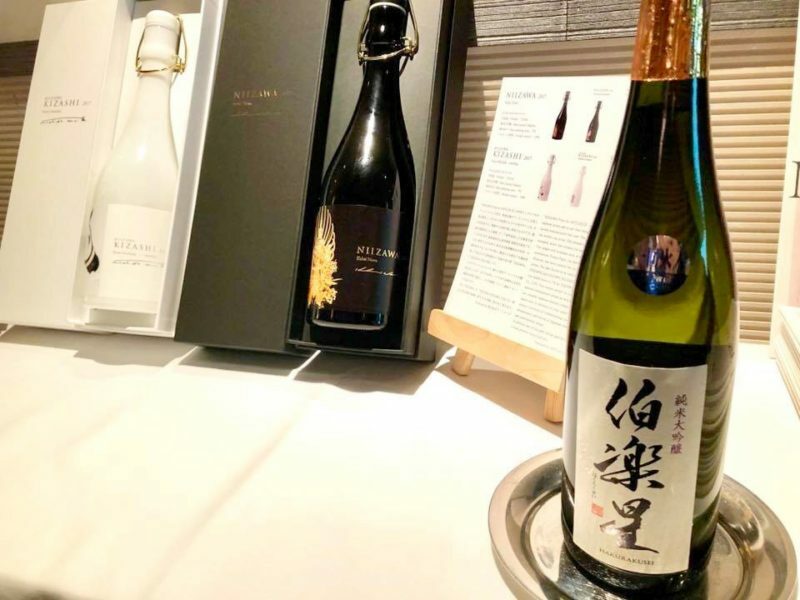 Also, we had special SAKE for the night, 「NIIZAWA」and「NIIZAWA KIZASHI」which are highly premium one. During the party, with great dishes, SAKE and gusts, we ourselves could spend a splendid time. And it was an honor for us to have lots of warm words of encouragement to our activities. 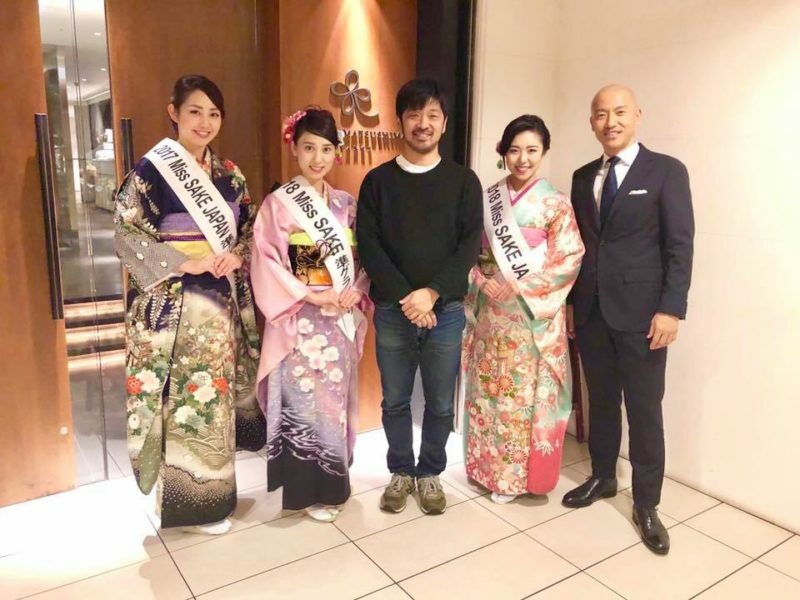 As goodwill ambassadors of SAKE and Japanese culture, we’d like to continue to try our best. We extend our deep appreciation to the guests and all the people involved.